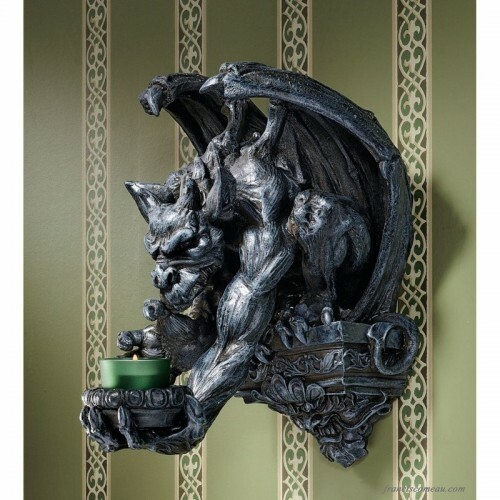 Imagine the drama when this menacing gargoyle lowers his mysteriously flickering candlelight to illuminate your castle entryway. 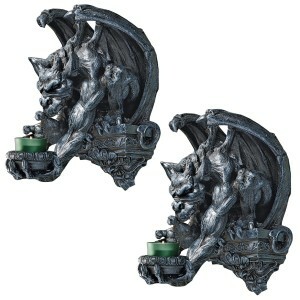 With bat-like wings, master gargoyle artist Chang's intimidating fellow stoops from his Gothic plinth in a sculpture full of movement and imagination. 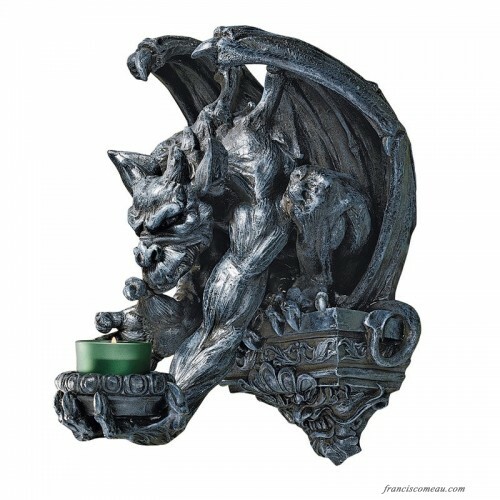 Intricately sculpted, then cast in quality designer resin and hand-painted to resemble aged stone, this piece can be found only at Toscano! Candle not included.